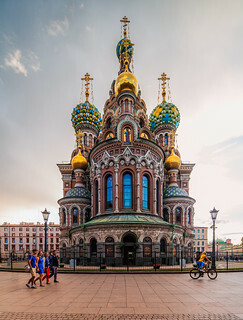 Tourists enjoy a view of one of the most popular attractions in St Petersburg - The Church of the Savior on Blood. 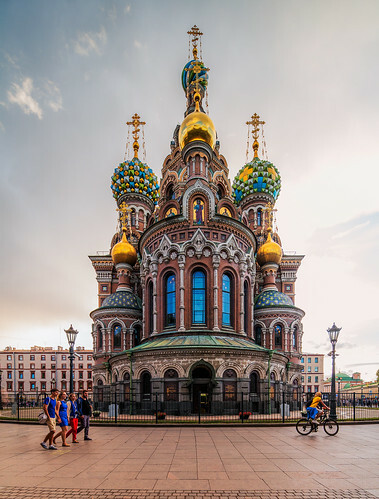 The Church of the Savior on Blood was built on the site where Emperor Alexander II was assassinated and was dedicated in his memory. It is one of the most popular tourist attractions in Saint Petersburg.